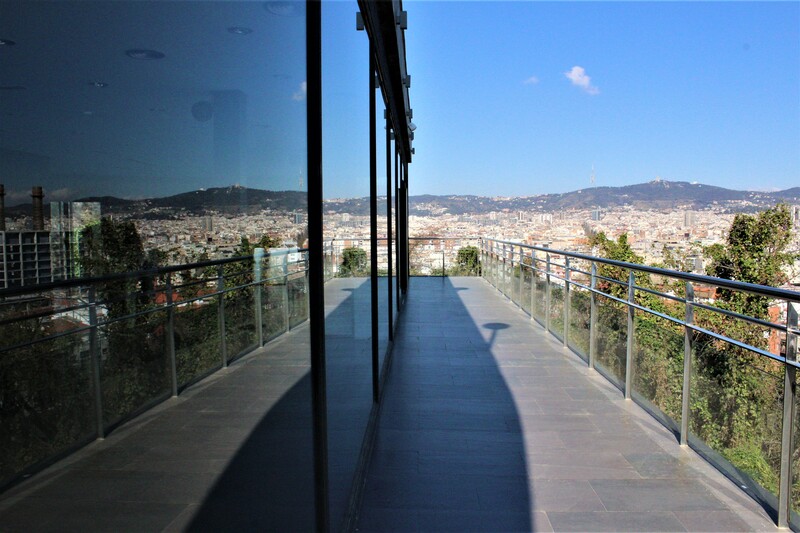 Ever wondered what it would feel like to host a corporate event in Barcelona with panoramic views of the city? If you haven't, we're going to help you think outside of the box today. 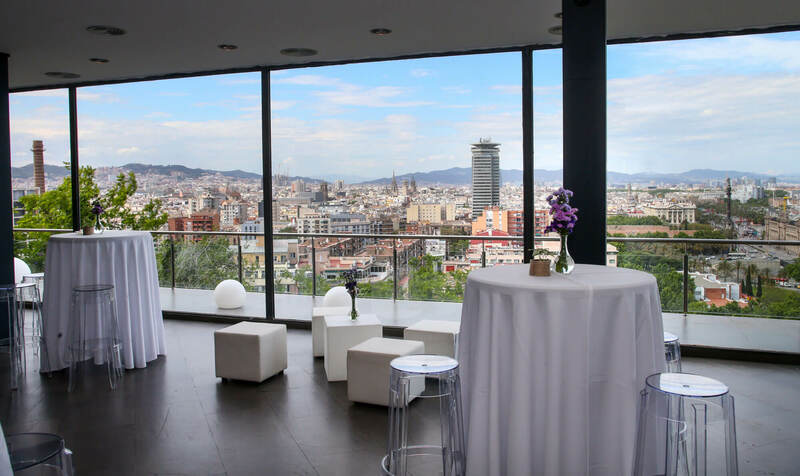 The Barcelona Panoramic Event Venue, El Miramar, is one of the only venues in the city with incredible views of the city, the mountains, the port, and so much more. Today we're going to help you get inspired for your next corporate event by giving you a private tour of this iconic Barcelona venue. Ready to get started? In Spanish, "Miramar" literally means "looking at the sea", which is exactly what you and your guests could be doing at the Barcelona Miramar Events Venue. This multi-purpose venue has the capacity to host 100s of guests, provides in-house catering with a full kitchen, and, of course, offers some of the most unbeatable views of the city. Not to mention, the Miramar Events has recently undergone refurbishments and now sports a fresh, clean new look. What's more, the management has changed entirely, and things are running smoother than ever at this panoramic Barcelona event venue. Let's begin the tour through various spaces in this multi-purpose event venue! extra benefits for marketing and signage purposes. the relaxed Barcelona way of life. Miramar Events Venue - Ready for lunch! El Miramar is located in an exclusive area overlooking the port, the famous street, "Les Rambles", the sea, and is connected to the famous Montjuïc Cactus Park "Els Jardins de Mossèn Costa i Llobera". The cactus park provides an enjoyable (and safe, don't worry you won't get pricked!) journey up to the top of the hill, where you'll find three emblematic establishments in Barcelona. The first that you'll reach is the Barcelona Funicular, which is actually connected to the Miramar Events venue. If you're looking for a unique transportation method to your corporate event at the Miramar, you're guests can take the Funicular from the Barcelona Metro Paral·lel station to the hill of Montjuïc. As you continue to read the word, "Montjuïc" (pronounced 'mont- joo-eek') you'll begin to understand that this prominent hill overlooking the Barcelona harbour played a crucial part in the defense of the city, and has great significance to Barcelona. Want to see what other historic Barcelona event venue is on the other side of the Montjuïc hill? Click here to see what the National Museum of Catalan Art looks like when its closed! The second emblematic establishment you'll see is the famous 5-star Hotel Barcelona Miramar. If you're having a conference and hosting guests for 1-2 nights in Barcelona, this makes for an incredibly convenient commute to the dinner reception at Miramar Events. The Hotel Miramar resides in a former 1920's building that has received impeccable care and refurbishment, and offers a luxurious stay in a secluded and exclusive area. The third and final emblematic establishment nearby the Miramar Events venue is the famous paella restaurant, La Terraza Martinez. To continue to enjoy views of the Barcelona port and the iconic Cemetery of Montjuïc, you'll want to grab some paella and seafood on the terrace. It's a relaxed atmosphere with some of the best food and views in town! Getting hungry thinking about paella and seafood? You'll want to download the Essential Barcelona Food Guide for your next trip to Barcelona! Click below to get your free copy. Want to explore other Barcelona Event Venues? Get in touch at +34 931 785 300 and let's talk about your upcoming event! 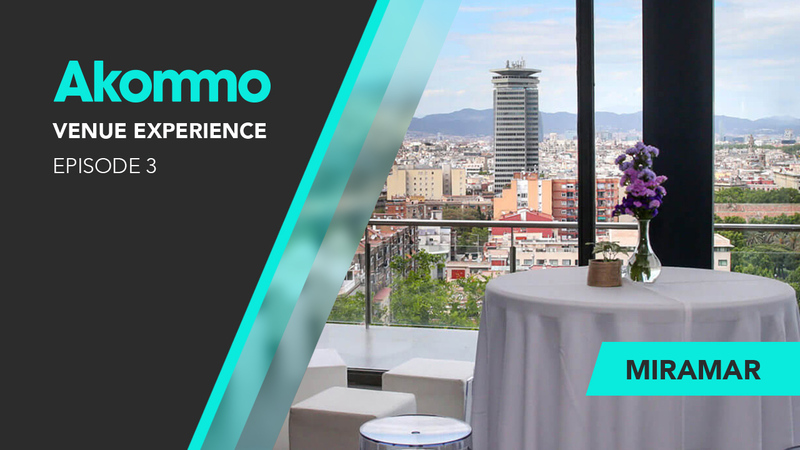 To get private, behind-the-scenes tours of our favourite and most unique Barcelona event venues, be sure to subscribe to our YouTube channel and watch our new Akommo Venue Experience with new venues released every month. To get the latest information on all things Barcelona, event venues, and event accommodation, be sure to subscribe to our blog and we'll keep you up to date!